Why Do I Need A Disability Representative? Many people give up on receiving medical assistance after being denied the first time. However, statistics show that your chances of approval are substantially higher when you file an appeal. Your London Eligibility disability representative will ensure that your appeal is completed accurately. We can help you with your Medicaid, SSI, and Social Security Disability issues. We encourage all applicants, from the first moment that they consider filing for disability to call our organization. Our experienced representatives, at London Eligibility, can help you gather medical evidence, apply, appeal, and represent you at a hearing if necessary. Thank you to Scott London, Margarita and Aisha for helping me through the complicated government process. You know your job very well. You resolved my matter very quickly. You were very helpful with the paperwork. Your office was always pleasant to deal with. They put my mind to ease as they were dealing with the government and helping me obtain benefits. I wanted to take a moment to compliment two of your staff members who I had the pleasure to work with while your firm was representing me in applying for social security disability benefits. Too often people are quick to complain and never take the time to say thank you. Today, I would like to do that. First I would like to take a moment to tell you that your firm has a stellar representation. In seeking assistance, I must have called five firms who focus in social security benefits however they wanted the case at the appeal stage. Three of these firms said to call London and hence I am very grateful for the referrals. I initially spoke to Ms. Tammy Wilson who patiently listened to my plight, my current and past medical history and explained to me the initial process of your firm taking on my case. I had to contact Ms. Wilson on several occasions and each time she was professional, compassionate and always helpful. I then had the pleasure of working with Ms. Arun Malhotra. Ms. Malhotra was kind enough to meet me at a time convenient to me so that I could give her my medicals. I did not know what to expect and had read that most people are denied the first time they apply for social security benefits. Ms. Arun did not make any promises to me but told me that the firm would not have taken the case if it did not have merit for approval. Ms. Malhotra kept me informed of the status of my case and she always responded to each phone call or email. Mr. London, my case was approved in just under just 4 months and I am very grateful for having such a positive experience after all the pain that I have endured the last six years. Would you please take a moment to acknowledge these two outstanding individuals. I would like to thank Scott London and Kristal for all their effort and hard work on my Social Security Disability Claim. I received a letter from The Social Security Administration. I wasn’t sure what they were saying. Kristal called me and explained that I have been approved for not 1 but 2 Social Security claims. Kristal walked me through the next step of obtaining my benefits with patience. I really appreciate your hard work. Did you know there are many government programs to help people in times of need? If you are disabled, either permanently or temporarily, are unable to work or can’t afford your medical or living expenses, our Disability Representatives can help! Is applying for disability or medical benefits proving to be a frustrating and overwhelming experience? Did you finally file all of your paperwork only to get denied? If so, contact London Eligibility for guidance through the entire process. We will help you get the assistance that you are entitled to. At one time or another, we all need help making it through trying times. When injury, or physical or mental illness, render us unable to work, it can become extremely difficult to pay for the necessary medical treatment for these conditions, not to mention the regular expenses of everyday life. It is during these difficult times that the Health Benefits and Disability Representatives at London Eligibility can offer vital assistance. During our thorough interview and investigation process, we will work with you to determine what programs you might be eligible for. After that, our Representatives will expertly manage your case, compile all documentation, complete and file all forms, applications and appeals, manage deadlines and walk you through every step of the process. Each assistance program has its own set of detailed requirements for eligibility and different processes for applications and appeals. Most people need professional representation in order to navigate the many options and obtain the best possible outcome. Contact our Disability Representatives to discuss your situation. Do I Need a Professional Disability Organization to Help Me? 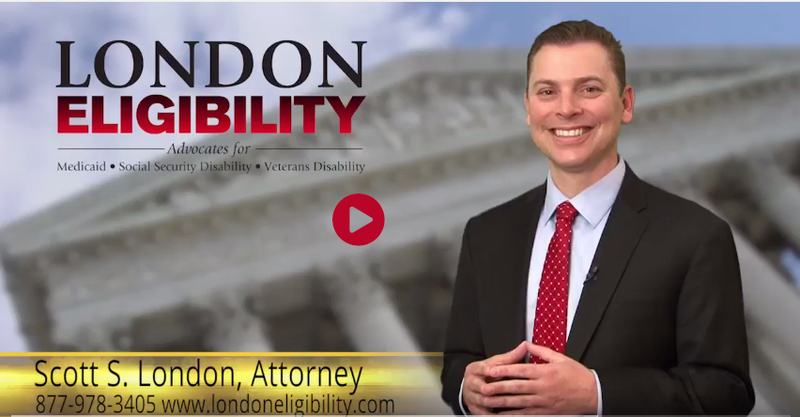 While it is possible to apply for benefits yourself, most people will have far less aggravation if they work with a professional Disability Representation Organization like London Eligibility. We are experienced in helping people get the benefits they are entitled to. We know your life is complicated enough without trying to become an expert in Medical Assistance and Disability Benefits programs too. Let us take the stress out of navigating these complex systems. Filing an initial application or an appeal that is professionally prepared by experienced Disability Representatives can ease your stress and help you have the best possible chance of an approval. Even if you have already been denied, we can help. What forms you need and how to fill them out correctly. What program you may qualify for. How to file an application. How to appeal a denial and when an appeal is a good idea. We encourage all applicants to contact our firm from the very beginning, when you first begin to consider filing for disability or medical assistance. The experienced Disability Representatives, at London Eligibility, can help you right from the start. However, we can help you at any stage along the way. Even if you have already been denied, contact us to find out whether an appeal might help your case. Is your Social Security application giving you headaches? Were you recently denied benefits and you don’t know why? When you need to secure your disability benefits, rely on London eligibility to walk you through every step of the process in Washington D.C., Baltimore, and across the country. We all need help sometimes, especially when sickness or injury keeps us away from the workforce. 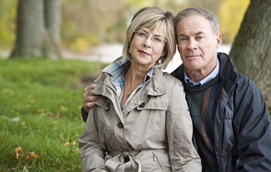 Social Security benefits were created to assist you through these difficult times. Don’t try to navigate the Social Security process on your own. Get the help you need from a organization that you can trust.